THE NUTCRACKER -- December 1 & 2 2018 at Coronado Performing Arts Center performing with Rockford Symphony Orchestra. The feedback from the community and reviews from various media sources rung loud and clear that this year's production was "the best Nutcracker produced by RDC & RSO at the Coronado" and "this is what the Nutcracker is supposed to be". Attendees were whisked away to the Magical moments of Clara with her beloved Nutcracker, dolls that come to life and the land of the Sugar Plum Fairy serenaded by the RSO in the “Crown Jewel” of Rockford. We hope you enjoyed the beautiful choreography created by Monica Isla from Milwaukee Ballet. 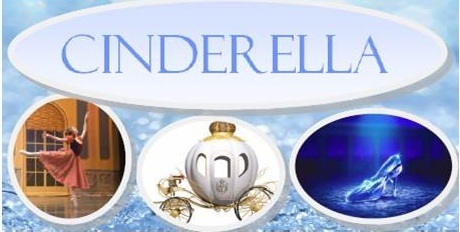 CINDERELLA -- This production has been postponed until the 2019-2020 Season due to unforeseen fire repairs at the Hononegah Performing Arts Center. Rockford Dance Company will premiere a new version of Cinderella in Spring 2019! RDC is known for this beloved story book ballet. Look for details to learn more about this exciting and community favorite ballet appropriate for all ages. This work of art is being choreographed by none other than Rolando Yanes who brought Snow White to life during the RDC 2016-2017 Season.